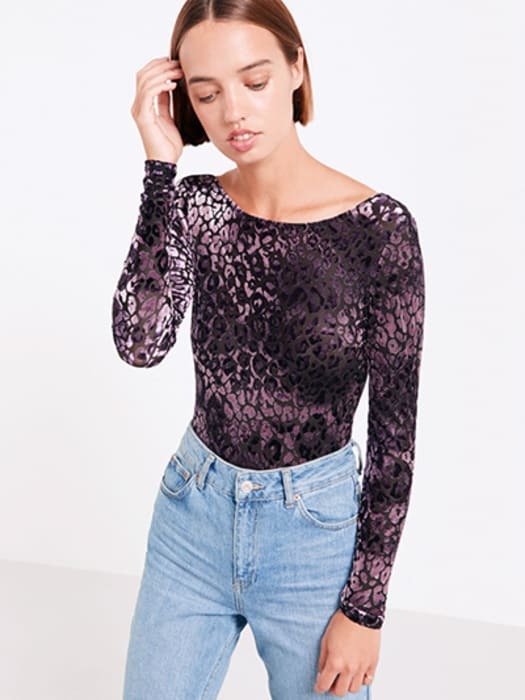 Perfect your party look with this Leopard Print Bodysuit. In a stare-stealing shade of purple, the fabric’s burnout texture totally sets the style apart. Try it tucked into high waisted denim in the week, layered under a slip dress for the weekend – it’s a statement either way!